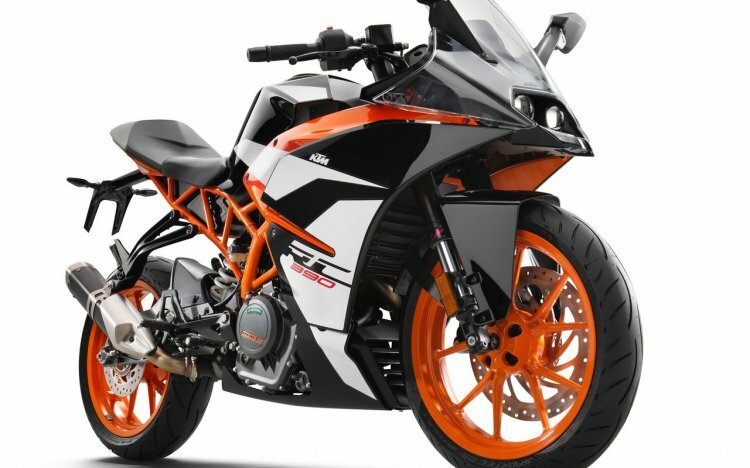 KTM has introduced the 2017 KTM RC 390 to the USA. 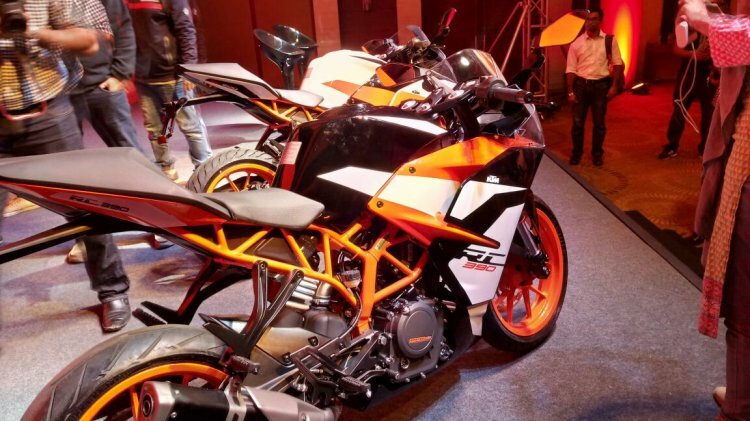 The bike is in the same specification as the version introduced in the Indian market in January 2017. The 2017 KTM RC390 gains a new paint scheme, wider mirrors and a canister exhaust. Other upgrades include 1 Nm of extra torque, adjustable levers, bigger front disc and ride by wire. Powering the bike is a 373.3 cc single cylinder, liquid cooled mill. The gearbox is a 6-speed unit. The engine is capable of producing 43.5 PS of maximum power at 9,000 rpm and 36 Nm of peak torque at 7,000 rpm (up by 1 Nm). The fuel injection and ride by wire promise smoother throttle response. The 2017 KTM RC 390 gets a side mounted canister exhaust giving it a crisper exhaust note. The front disc is now a 320 mm unit (up from 300 mm). ABS continues standard along with a power assist slipper clutch (PASC). The rear seat gets more cushioning. KTM has also added adjustability to the clutch and front brake lever. The bike continues to flaunt the old orange backlit instrumentation console. Other features include projector headlamps, UV resistant paint and wider rear view mirrors. The 2017 KTM Duke 390 tips the scales at 147 kg. The rise is from the introduction of a new side mounted exhaust canister. The 2017 KTM RC390 tips the scales at 147 kg and has a 178.5 mm ground clearance. It is suspended over separate function WP forks up front and a monoshock in the rear. The fuel tank can now hold 2.64 gallons of petrol (9.9 litre).